Filipino coconut flour BIO Tropicai is a wealth of fiber - up to 40.2% and to this 18% protein. It is the highest fiber content found in any flour. Tropicai flour has the best of all coconut flour macro parameters - the most protein and fiber at the lowest fat content and the lowest calorie content. Weight net. 1000g. 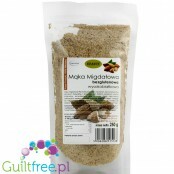 ; 4,40 pln/100g. BIO Tropicai coconut flour has the highest fiber content found in any flour. Tropicai flour has the lowest fat content and the lowest calorific value and the highest content of protein and fiber among all coconut flours. This flour is made of raw, unroasted coconut flakes and is ground cold at a temperature below 40 ° C, thanks to which it preserves a complete set of intact vitamins, minerals, enzymes and antioxidants. Coconut flakes contain many vitamins and minerals. Coconut flour is low in fat, does not contain cholesterol. 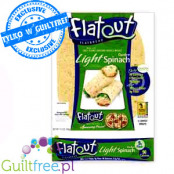 It is rich in protein and fiber, does not contain gluten. Application: coconut flour can replace traditional flour. Suitable for baking, preparation of raw desserts, can also be used as a topping of ice cream, for salads, and as a coating. In combination with nut milk, spring water, cocoa drink or freshly squeezed juice, it can be used to create a fiber-rich drink that will help regulate metabolism. Coconut palm is known under the name `kalpa vriksha`, meaning a tree that provides everything needed for life. In Malay, however, it is known as "pokok seribu guna", which means "tree of a thousand uses" in the Philippines, it is called "the tree of life" and the inhabitants of the Pacific islands about the fruit of the coconut palms say "cure for all diseases". Ze względu na nietolerancje pokarmowe mojej córki mąka kokosowa gości w naszym domu od dawna i w dużych ilościach. Do wyboru tej własnie mąki skoniła mnie zawartość białka vs. zawartość tłuszczu. W kuchni wykorzystuję ją zazwyczaj do wypieków. Tu sprawdziła się doskonale. Lekka, delikatna, dobrze zmielona. Wypieki nie rozpadają się, co zdarzało mi się w przypadku innych mąk kokosowych. Zakup kilogramowej paczki jest bardzo ekonomiczny. Mąki kokosowe są różne, Albo są bardzo tłuste czyli są to po prostu zmielone orzechy kokosa albo nie dość dobrze zmielone. Mąka Tropicai to najlepsza mąka kokosowa bez dwóch zdań. Ma bardzo gładką konsystencję (jak prawdziwa mąka tortowa) i świetnie nadaje się do wypieków / omletów jako bezglutenowy i niskowęglowodanowy zastępnik mąki. Ma bardzo dużo błonnika i dlatego ja stosuję nieco więcej płynów niż w klasycznych przepisach bo mąka tropicai bardzo mocno wchłania wodę. Ma dużo białka i jest świetna dla osób na diecie. Ingredients: 100% coconut flour from organic farming DE-ÖKO-012 / Agriculture from outside the EU and the Fair Trade Fair trade project approved by ECOCERT SA. 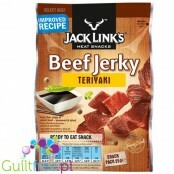 Nutritional values ​​per 100g of product (label content from December 13, 2014): 343kcal / 1425kJ, 11.5g fat (including 10.6g saturated fat), 21.4g carbohydrates (including 19.2g sugars), 17.8g protein , 40.2g fiber, 0.05g sodium (equivalent to 0.125g of salt. Information on changed nutritional values: in connection with the entry into force of the Regulation of the European Parliament and of the Council (EU) 1169/2011 of 25 October 2011 as of December 13, 2014. the content of the Tropicai flour label changes: the calories are increased by calories from fiber in the amount of 2 kcal / 1g of fiber. The same product will be sold on the US and Canadian market with the current label indicating lower calorific value - according to American legislation, fiber calories, as unacceptable, are not included in the calorie content of products. 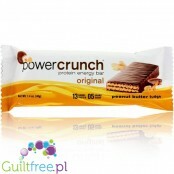 The exclusive PowerCrunch protein bar is the perfect harmony of crunchy wafers dipped in delicious fudgy cream and peanut butter coated with chocolate sauce. Patented high-passable protein (as much as 13g!) In the form of a crunchy low-protein bar. 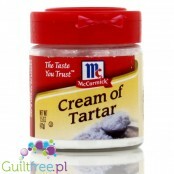 Cream of Tartare, also known as acidic potassium tartar or simply vines, is a natural substance used primarily to give the volume and stiffness of beaten egg whites - irreplaceable for sweet and creamy sweet desserts. New formula! 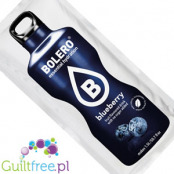 Bolero with stevia, no artificial colors, aromas and preservatives, enriched with vitamin C. Mixing sachets with 1.5L of water. 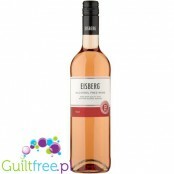 The sweetened stevia refreshing berry drink does not contain sugar and has only 1kcal. 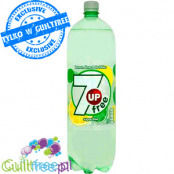 7up Free - Love the taste 7up without sugar, no caffeine, no dyes and no preservatives!Large bottle - up to 2 liters!